Three simple words that only begin to describe the statement made by the awnings and other shade products created by Phoenix Tent and Awning Company since 1910. The company is best known for its superior quality custom awnings which grace finer Valley homes and businesses. You may see examples of the company’s commercial awning work at the Phoenician Resort, The Arizona Biltmore, Ritz Carlton and Pointe Hilton Resorts. And when you see awnings on exclusive homes in the valley, chances are they were manufactured and installed by the professionals at Phoenix Tent and Awning Company. The company is proud to have a certified Master Fabric Craftsmen on staff. This designation acknowledges skill and experience in awning design and production and is conferred only rarely by the industry’s national association, there being less than one hundred so honored throughout North America. One such craftsman is production manager Dave Fillhouer, who oversees a crew of the most experienced workers in the business. "Awnings are a necessity in many cases to block the sun's rays from destroying furnishings, carpets, draperies and works of art, "Fillhouer says, "but with so many colors and shapes available awnings can serve to make a statement and enhance the beauty of the home as well." As for the awnings themselves, they are constructed from the finest acrylic fabrics available from both U.S. and European sources, in literally hundreds of colors. Of the many shapes and styles available for awning construction, one style gaining in popularity is the retractable awning which was introduced to the Valley by Phoenix Tent and Awning Company. As the name implies, a retractable awning consists of a fabric cover on a movable frame which extends out to provide shade during the day and retracts when not needed. When mounted with a motor controlled by a sun and wind sensor, a retractable awning will automatically extend when the sun is out and retract at night or in windy conditions. Since 1910, Phoenix Tent and Awning Company has provided quality products and service to help you make the statement you want - in the shade. If your home or business does not lend itself to a traditional awning but still suffers from the brutal Arizona sun, Phoenix Tent and Awning Company has developed the finest retractable shade screen system in the industry. This product can be installed on any window, door or patio opening. The system is operated from inside your home and can be motorized for added convenience. As with all shade products offered by the company, retractable shade screens offer a unique and beautiful method of blocking heat, glare and damaging UV rays and may reduce cooling costs as much as thirty percent. 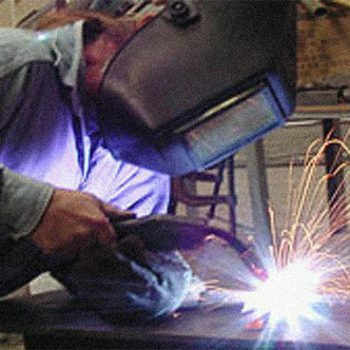 When purchasing a custom-made product, the experience and reputation of the craftsman is of paramount importance. 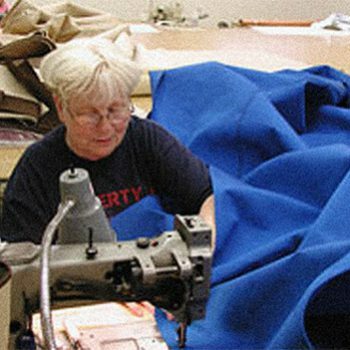 Phoenix Tent and Awning Company has some of the most experienced craftsmen in the industry with years of service in the Valley, and their work speaks for itself. They invite you to visit the company’s showroom to view the many styles, shapes and fabric colors available, or to view photos of projects recognized through industry awards for achievement and excellence. However, if customers prefer, an experienced consultant will come to your home or business for a no obligation design estimate.